Common law is in effect legal precedent that is made by judges sitting in court. Unlike statutory provisions, which are laws that are codified as Acts of Parliament, the common law is constantly changing. This is because of the fluid way in which judges interpret the law using their knowledge of legal precedent and common sense and by applying the facts of the case they are hearing to those prior decisions. English law works on a common law system, as opposed to a civil law system, which relies on statute and certain texts. Common law is an invention of the English courts: the Kings Bench, the Court of Common Pleas and the Exchequer so as to ensure, as remains the case today, that there were laws that superceded the decisions of the lesser courts. Judges create the common law by delivering written judgments about the cases before them. If, for example, Magistrates’ Courts across England and Wales were able to make and follow their own precedent, this would create a huge variation in local and regional customs that could mean that local regimes are barely recognisable from one another. The common law ensures that the law remains ‘common’ throughout the land. However, as it is the House of Lords and the Court of Appeal (Criminal Division) that create the legal precedent in relation to criminal matters in England and Wales, it is the decisions made by these higher courts that bind the lower courts. There are some situations that are entirely new in relation to the common law, and the English courts do sometimes look abroad at the decisions of other commonwealth courts in order to seek direction or guidance from them. For example, an English court may be asked to consider a case decided in Canada or Australia in the absence of there being any precedent set in an English court. This can also assist in allowing the common law system to have a degree of flexibility but also, because courts look to each other for guidance, a certain level of stability too. Although the English legal system is founded on common law, that is not to say that statutes are any less binding. In fact, statute law codifies certain rules whereas the common law provides interpretations, and clarification when facts of instant cases are applied to the codified law. As a result, the common law and statute law complement each other well: common law keeps statute law up to date and in keeping with modern problems and solutions, as well as creating precedent where there is no statutory codification. As a lawyer or legal student you will often be required to research a point of law to check the current legal position in respect of a particular statutory provision or factual scenario. What this means is that you will have to research whether there is are any relevant statutes that relate to the area you are considering, and then look at recent (and sometimes not so recent) case law decisions of the higher courts to see if there is any other guidance thereon. Once you have identified these, it is also very important that you ensure that any statutes you have found are still in force. Further, check that any case law decisions have not been subsequently overturned either by more recent case law, or by a judgment of a higher court (e.g. House of Lords overturning a Court of Appeal decision) or because a subsequent Act of Parliament has codified the common law and by virtue of the new statute the law has been amended or changed. Is the EU constituation treasonious under common law. I believe the fooled the British people into voting for EEC common market.When it turned out to sinister being the EU state were the want to abolish the nation state. Where is the closest common law court to Liverpool and how do i apply to bring a case there for my forcibly fosterd children please any information would be very much appreciated thanks in advance !! My mother is disabled and she has mobility issues. The pavement were live are very narrow and some of the premises have large sign outside and it makes it rely difficult to pass easily. Can you advice on the law and the best course of action. The shops or premises have to apply to the council for permission to put a sign outside their buildings. Your mother may wish to write or contact her local council directly, as one of the pre-requisites of being allowed to display a sign or A-Board is that it shouldn't affect vulnerable groups of people i.e who are disabled, visually impaired or have mobility issues. which book is best to buy on common law rights. Please be lawful smart, helpful and diligent. This section is a weak and misleading interpretation of 'Common Law'. 'Common Law' is the law in common sense as it applies to man (including woman) in cases of injury, harm or loss to property; wrongs of trespass. Man invokes his/her own court at queens/kings bench. A Man is not subject to act and statutes; codification a of the public law, 'persons' or other legal fictions such as 'defendants' or 'suspects', etc are. Statute Law is a law written down and made through the legislative process whereas Common Law is simply created by judges referring back to old cases and what was done in them. Most of the civil rights began as common laws, such as the right to liberty. Common law is a good system, I think. It's about your own truth I think. Law for the pheasants. God given rights are the common law . they are not given by man and as such cannot be taken away by man . does any man have a higher authority than God,why do you swear on a Bible,why do judges swear a oath ,why do presidents swear an oath ,the queen takes an oath and swears to uphold gods law . Common law is one that most of the countries across the globe have been into operation. By learning, common law , one person can do works without getting any obstacles that is against by law. According to law, which duties and responsibilities are obliged to us? Common law is when someone I am being charged with Affray but no one was actually harmed and no one was even abused verbally. It is being heard at a Magistrates court and I want to defend myself under common law jurisdiction can I claim this once entering a court? Also a Magistrate is a public servant can I evoke Trust law? I am being harassed by bailiffs attempting to collect unpaid illegal council tax, theese monies get put into the bankers hands who fund global warfare--i cannot be a part of that so am considering using a get out of debt letter template asking for 1. My liability to the council 2. The name of the person making the claim 3. Their signature As a corporation theesecannot be provided,i am also going to stipulate a £500.000.000 charge for any further attempts to collect by mail or if any agents turn up at my door to harrass intimidate and extort from me. I believe im on the right legal side and it is my right. What advice do you have for me about this and what steps should i take if they attempt collection after i have sent it,obviously I'll be wanting them to pay up or I'll have to start removing council property,not sure where that process starts though..
Is it against the law 2 take a child from her mam? because of her partners past and faulse alligations made against him she should of just been advised about parnters past criminal history not forced intimidated and removed from her own home. This is always a tricky question to answer. If both parents have Parental Responsibility then the police cannot intervene to take the child off one parent and give them to the other (if one parent intervenes and decides to keep the child without the other parent's consent). It means, the police cannot choose between parents, that is the remit of the courts. However, it is never a good idea to keep a child without the consent of the other parent (unless absolutely necessary), as it can backfire. Therefore, in this situation, if you are concerned about being able to see the child, or, if you think that the child should live with you, you should really seek legal advice and apply for a Child Arrangement Order. I was in court afew week ago as litigant in person and standing lawfully under artical 61 magna carta 1215 that I understand was correctly invoked into law in March of 2001 I believed I was entiteled to ask the court questions but I was told by the judge that he ask the questions not me and that I should sit down and shut up! All I asked the judge is if he stood under his oath of office which as I am litigant in person I should be entiteled to do his responce was to threaten me with contempt of court so would his refuseal to answer be costructive contempt off court? All so it is my understanding that as I said above (artical 61) comman law is the only law since 2001as magna carta 1215 can not be altered by modern parlimentwas the comment sir Winston Churchill made on the subject of magna cartand comman law must not be denied by the court's ! ? See halsbury's law vol 44 (2) constitutional act. 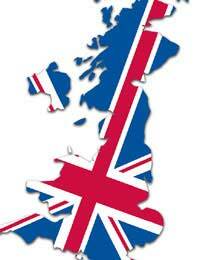 Why are you using a graphic that shows the whole of the British Isles as one legal unit ? There are separate legal systems in place on this isle and common law is different depending of which Jurisdiction you are in. If you wish to give information on English Common Law then your graphic should only show the Jurisdiction that that law applies to, it is misleading to people that might live in another jurisdiction and think that had a right that they perhaps dont. Is the common law more about justice than on truth. Do the police have to uphold the law with regards to highways acts. Anti social behaviour officers sent letters to houses saying playing, cricket, football, basket ball or any other ball game on a highway is a criminal offence, and that the houses commiting the offence must stop or get fined. Families complained to a police officer who overturned the offence letter so ball games have begun again. Now police refuse to reinstate the original offences letter as the families concerned are upset. Is this legal, as in, highway acts quoted by police under which offences have been committed can then be overturned by a policeman just coz he feels sorry for crying kids or must the police uphold it regardless if children burst into tears. Was under the impression if police say you have committed an offence under a highways act, then they must enforce / uphold the act because it is Law and has nothing to do with - we will enforce it in this road, but let all the kids off in another road coz they burst into tears? I had a hip replacement the implant was found to be defective, the manufacturer DePuy (owned by Johnson & Johnson) has admitted liability. My solicitor areclaiming under the Product Liability without prejudice and confidential claims review process that they agreed with DePuy. Does this prevent me from in the future pursuing to take my case to The Common Law Court to sue for additional damages and financial losses? I find it so frustrating the way people try to rewrite history. Case in point: "Common law is an invention of the English courts: the Kings Bench, the Court of Common Pleas and the Exchequer so as to ensure, as remains the case today, that there were laws that superceded the decisions of the lesser courts." The Great Common Law was established by Alfred the Great. It was established based on 3 principles: The law should express universal principles of fairness, truth and common sense. Just law depends on the inherent dignity and freedom of every individual and the principles of fairness, responsibility, reason and truth. People have to be confident that when a person breaks the law he will be punished. They have to trust that the law is impartial and constant. Can you confirm or correct Eloibara posted on 13/Feb/16 @12.16 who stated statue supersedes common law! Your definition above stated -"English law works on a common law system, as opposed to a civil law system which relies on statue and certain text". Referring to Blacks law dictionary - the word statue is not defined as a law, as such nor would be bills, acts, or legislations! As these are government policies to reduce the people's freedom and generate income! And as such are civil, which is why we have civil enforcement officers.Can you also explain why the courts of this land are a profit making corporation, registered as such For all to see. And why common law is addressed as a secondary concern within uk courts, especially in statue cases, As by doing so the judges/magistrates are failing in their oath! Personally I feel the uk court system is a corrupted, fraudulent, money making corporation, that doesn't respect the people of the land and has no honour! Unfortunately, we cannot comment on this. If you have an issue, you can air your views via the Justice system complaints procedure, link here. Can you confirm or correct Eloibara posted on 13/Feb/16 @12.16 who stated statue supersedes common law! Your definition above stated -"English law works on a common law system, as opposed to a civil law system which relies on statue and certain text". Referring to Blacks law dictionary - the word statue is not defined as a law, as such nor would be bills, acts, or legislations! As these are government policies to reduce the people's freedom and generate income! And as such are civil, which is why we have civil enforcement officers. Can you also explain why the courts of this land are a profit making corporation, registered as such For all to see. And why common law is addressed as a secondary concern within uk courts, especially in statue cases, As by doing so the judges/magistrates are failing in their oath! Personally I feel the uk court system is a corrupted, fraudulent, money making corporation, that doesn't respect the people of the land and has no honour! I was found guilty and sentenced to 18 months during a 3 day A.B.H trial at crown court. On the 3rd day during the trial on the stand, the Judge called me a liar and sent the jury out. Then an hour later I was found guilty! Is this legal as it was my first offence and cannot rest? Also the victim had 3 different statements and the last one said I kicked him, is this also acceptable? Would really appreciate your thoughts please.